Cuckoo's Egg is a novel by science fiction and fantasy author C. J. Cherryh, set in her Alliance-Union universe. It was nominated for the Hugo Award and longlisted the Locus Award for Best Novel. 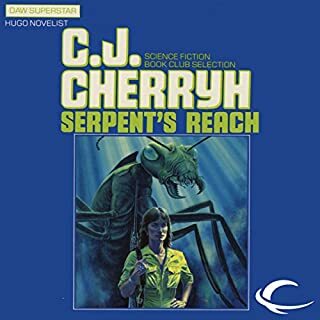 It was later included, along with Cherryh's novel Serpent's Reach, in the 2005 omnibus volume The Deep Beyond. 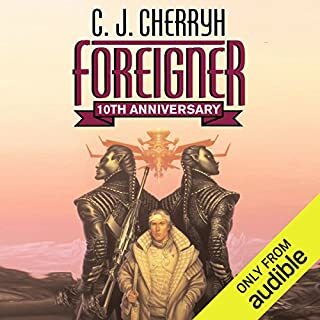 The audiobook introduces the alien Shonunin race, and the plot of the novel concerns a male Shonun raising a human boy. They named him Thorn. They told him he was of their people, although he was so different. He was ugly in their eyes, strange, sleek-skinned instead of furred, clawless, different. Yet he was of their power class: judge-warriors, the elite, the fighters, the defenders. Thorn knew that his difference was somehow very important - but not important enough to prevent murderous conspiracies against him, against his protector, against his caste, and perhaps against the peace of the world. But when the crunch came, when Thorn finally learned what his true role in life was to be, that the future of two worlds might hinge on him, then he had to stand alone to justify his very existence. ©1985 C.J. 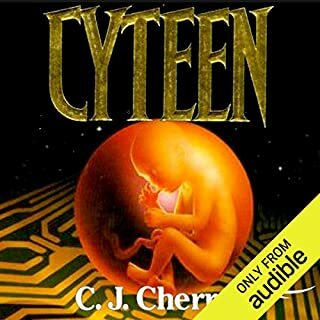 Cherryh (P)2012 Audible, Inc. I dearly love Cherryh's work. She's rightly famous for building aliens that really aren't humans dressed up funny. this is an early book but beautifully done. I really always have wished there were a sequence. The alien here chooses to raise his enemy as a child, to understand him, to use him but not in a cruel way. It's a powerful statement about who your enemy is, who your enemy might be with comprehension. I do love this book. There are SF books that are good, but "formulamatic". 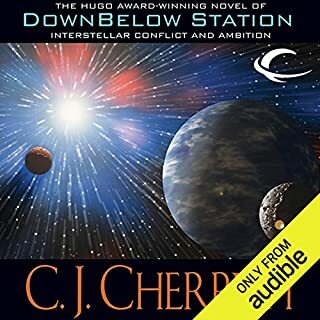 Many of CJ Cherryh's book are unique and this a prime example, a real gem. Her writing skills are beyond question. She is one of those extremely gifted writers. By taking bits and pieces of earth cultures and then adding spice and creativity, Cherryh is able to create entirely believable alien cultures. 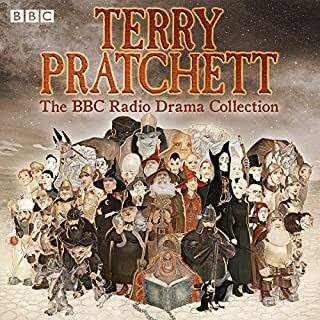 I am a long time audible listener and I recommend this book to you without a single reservation. You will enjoy it. The narrator was really excellent as well. Cherryh does write the most amazing books. About an alien boy raised by an elite warrior/judge alone on a planet far from earth, the story is intense, emotional, sad, and fascinating. No one does alien cultures like Cherryh. 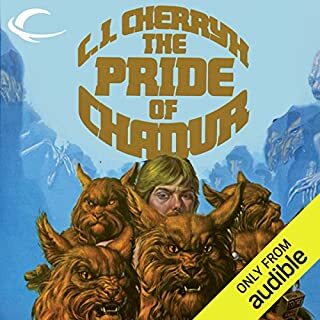 C. J. Cherryh is a magician in cultural indoctrination. It is almost irritating in her books to refer to humans as a culture we know. She puts the isolated human in a completely Alien society and makes us see through that culture's eyes. By the cover of the book we always know that thorn is human but he doesn't. Sometimes the dialoge may seem tedious but it is worth the wait to see the results. The conclusion actually begs for another book involving re-contact. I hope she writes it. So many books are written about aliens visiting us, but Cherryh turns the tables and writes about a human who is the alien or is he? This about Thorn who is raised in seclusion. He thinks he is some sort of mutant, but is he? He is taught to be a warrior. His teacher is furred, has long pointy ears with dog like hearing, and talons or claws for weapons. It is a paranoid world where you can not trust anyone, not even your teacher. Back in the 80's you could not walk into a used or new bookstore without finding several CC books on the shelves. The first book I read of hers was Rimrunner, which I liked, so I bought several more. I am a slow reader and in those days I only read about 10 to 15 books a year, but I loved buying books, so my shelves are full of CC books. The next three books of CC I did not like so well, so I quit reading her. Thanks to Audible I have been able to catch up on authors who are not exactly my favorites. I am glad I did, as this is a very good book. I got a little lost in some of the alien politics, but the rest was good to excellent. The relationship between Thorn and his teacher was good, but could have been better, this is where I have have a problem with CC, in that I have trouble getting strong feelings for her characters. The Alien world is perfect and I had no problem picturing what it looked like to live there. It is a little slow in places and the constant not knowing where Thorn came from became irritating. At the end when you do find out, it is an excellent explanation, which showed lots of creativity on CC's part and good science. If you get bored, then put on fast play and then slow back down for chapter 12 and the final chapter 15. I am now looking forward to listening to some more CC books and maybe listening again to some I did not get into years ago. Although you know where you are going from the onset, you don't know why. The world concept is unique. Sometimes you are aggravated by how or the length of time to get there, but it is still a fantastic trip. Just enjoy getting there & thinking about it. Tension. Taught as a wire suspense. This story has much to do with styles of communication, direct or indirect. Whether a question is answered or evaded becomes pervasive. Especially when the principal in the story is completely unprepared to accept the truth about himself. So what is it like to be a human child raised in isolation by a dour, aging, powerful, ascetic "martial arts" hero? Life is a game, violence, a trick, a lie, fervent truth...and un answerable questions. The young man must learn to "read others"' and discern truth for himself or in a world at war, he and his mentor may not survive. My all time favorite book! Intricate characterization and world building seen through the eyes of two disparate yet similar people. 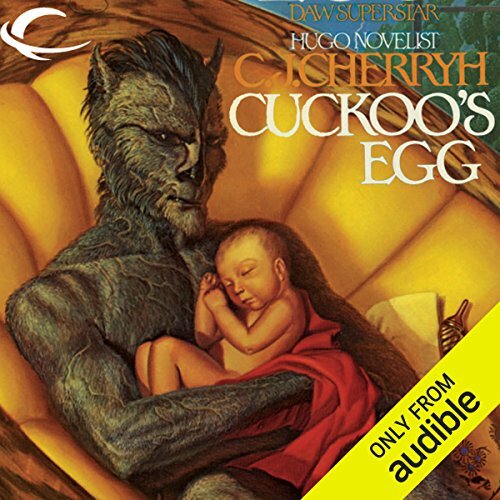 I enjoyed this story when I first read it, but when I heard it on Audible, it had more meaning. C.J.Cherryh gave the Shonunin and the Hatani a whole culture (possibly based on the Samurai??) and Peter Gamin brought that culture to life. I did not think of the characters as having specific voices when I first read the book, but as I listened I realized that Mr. Gamin gave Duun and Thorn exactly the voices that suited them. Thorn's voice was recognizably the same as he matured from a toddler to an adult. Very well done - I think I've found a new favorite author. Strongly recommended if you like what-if fiction.